Some of our students do wondrous things when they are here in London, so it’s no surprise that they continue their amazing work when then go home. 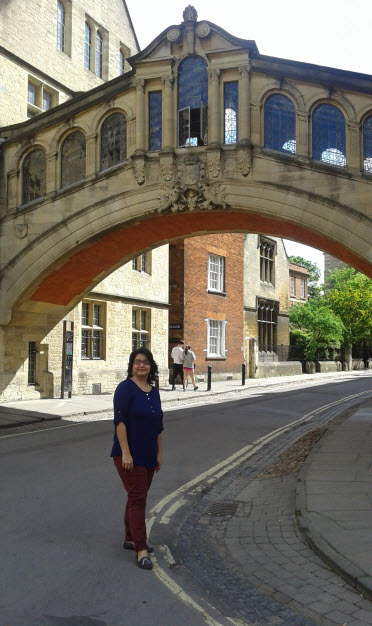 One such student is Deepa Idnani, who was awarded the Commonwealth Scholarship for her Doctoral work at the UCL Institute of Education in 2015-16. 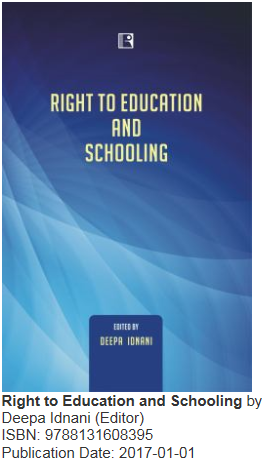 Deepa is presently working as an Assistant Professor at the Department of Education, SPM College, University of Delhi, India, and in 2017, she published Right to Education and Schooling. You can find this new title in the IOE Library and you can find out more about Deepa and other IOE students on the Student/Country Focus pages in the International LibGuide. We welcome many more students to add their education experiences to these pages that highlight the rich diversity at UCL IOE. If you’re interested in sharing your experiences, please out the form here. This entry was posted in Library and Archives and tagged country/student focus, India, International education. Bookmark the permalink.